During our 15-20 minute consultation, our doctor who is trained specifically in whiplash and spinal related disorders that occur during auto accidents will review your paperwork and assist you in assembling a TEAM of providers to get you back to your pre accident condition. We will explain the process of our exam, the special equipment used to find the areas of soft tissue damage and explain our approach to your care. It is our goal to always put your health first and protect you from future devastating health consequences from an untreated auto injury. Whiplash injuries are a direct result of a rapid acceleration/ deceleration of the head and neck during automobile accidents, exceeding the amount of energy that the body can absorb without damage. While we realize that not every auto accident requires an attorney, it is often during this consultation that we might suggest that you seek legal counsel depending on the nature of your injuries and situation. While your legal situation is not our concern, it is imperative that you have peace of mind in order to increase your likelihood of reaching maximum medical improvement. 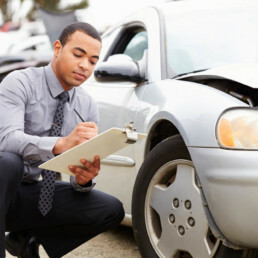 The most important thing to do following your car accident is to seek care immediately. You will get any and all of your questions answered including questions on care duration, insurance, finances and anything else that your are curious about. If you would like to attend a group presentation to learn about Structural Chiropractic then please call our awesome front desk staff at (425) 636-0303 and let them know that you want to attend our introductory presentation. They will be happy to reserve you a seat. Thank you for taking the time to look through our website! We look forward to meeting you.